Many of you that go to concerts regularly in our area may know Metal Nick for some of the awesome photos and videos he shoots of metal bands. 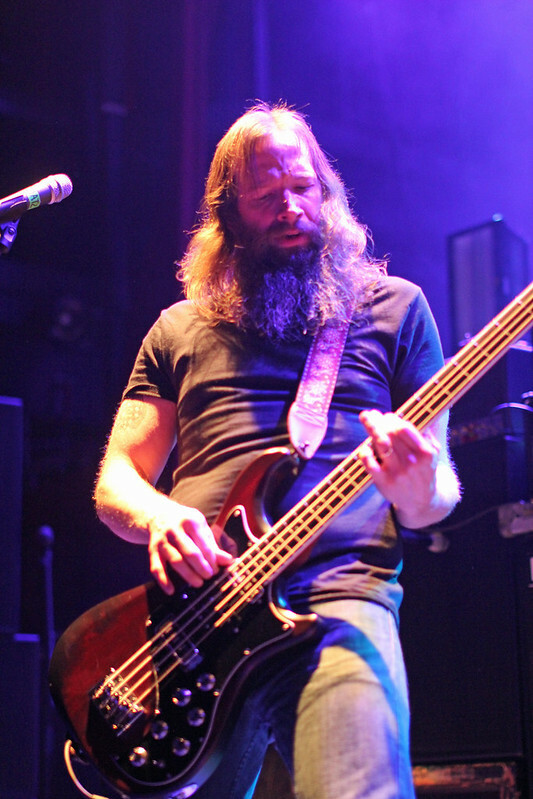 Well last Sunday he was at the Fillmore to photograph the Meshuggah and High On Fire tour for DCHM and he wrote up this review to go with them. Enjoy! 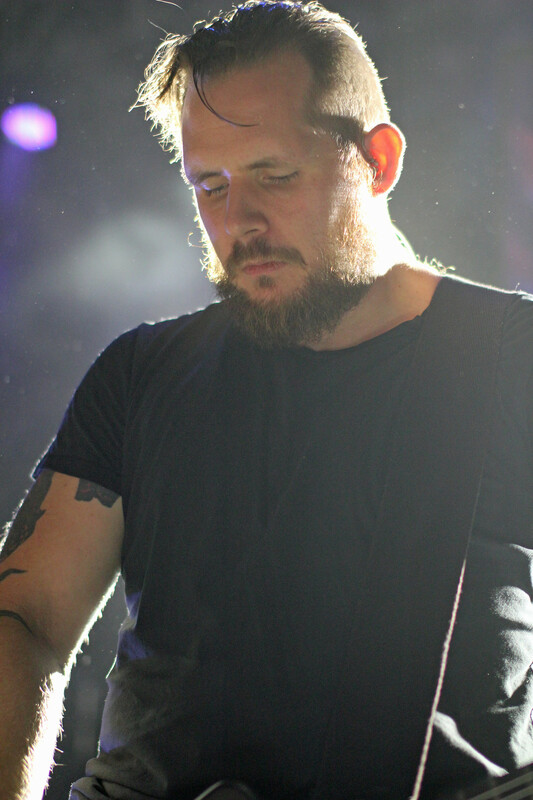 On Sunday, November 6th, 2016, Meshuggah and High On Fire rolled through Silver Spring, Maryland, at the Fillmore Silver Spring. 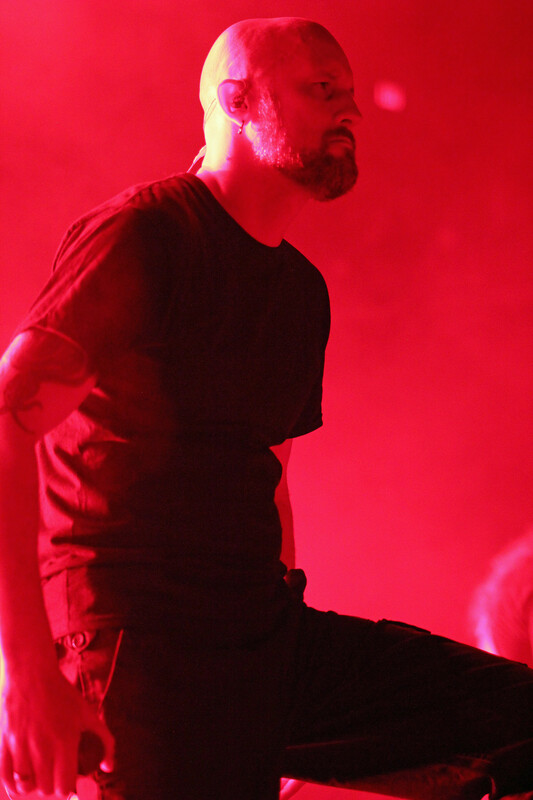 This was the final show of the tour to support Meshuggah’s latest album, The Violent Reason of Sleep. High on Fire opened the show. The building had filled in quickly so they performed in front of a large crowd. Their live shows have always been full of large, crushing, sludgy guitars and drums which set the mood with the crowd almost immediately. 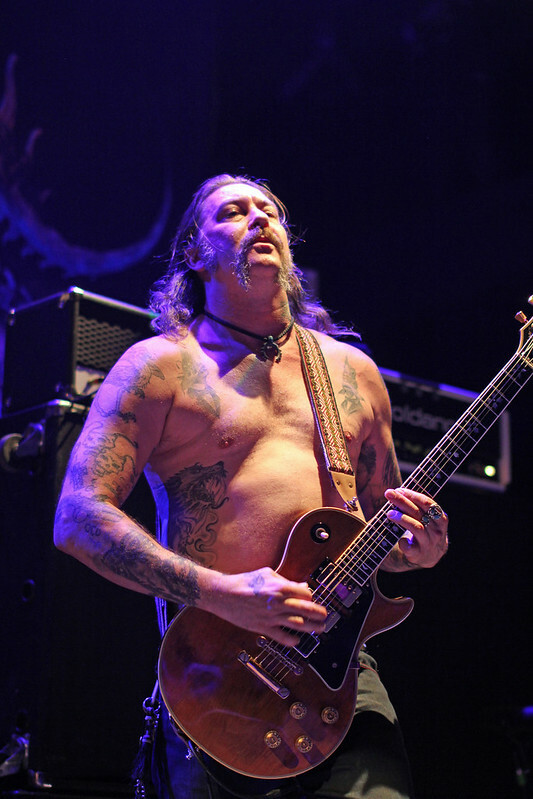 After they finished their first song vocalist Matt Pike yelled out “Hello Baltimore!” I am not sure if that was a joke or he really thought he was in Baltimore. Once the drums started rolling in the beginning of “Turk” a huge roar of joy came from the crowd, it seems that was the most anticipated song of the night. They played for 35 minutes and surprisingly the Meshuggah fan base was really welcoming to their sound. 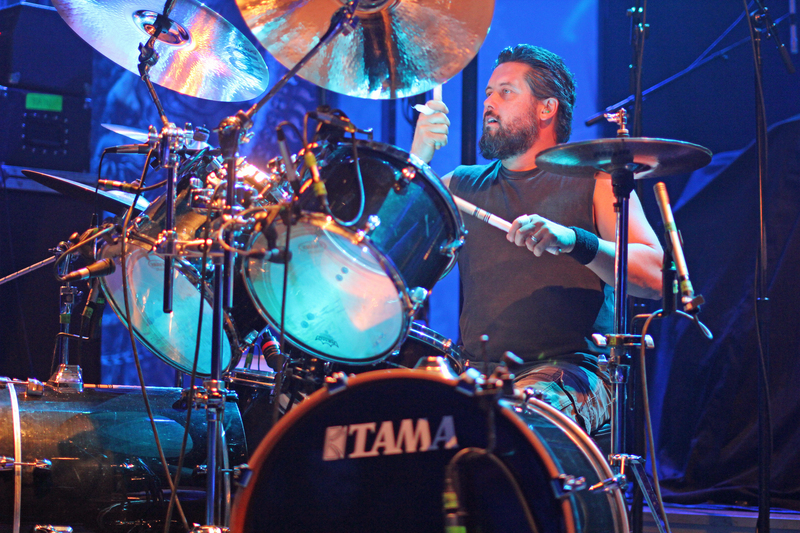 Sweden’s technical metal masters Meshuggah are returning to the Fillmore Silver Spring for a second time this Saturday, February 16th, 2013. DCHeavyMetal.com has a pair of tickets to this show to give to one of you lucky readers. To enter just leave a comment on this post telling me why you want to come to this show. Maybe you saw them last year when they played the Fillmore and you want to see another killer Meshuggah show, or maybe you missed them last time or maybe you’re still waiting for your tax return from Uncle Sam and can use a night of free metal. On Friday, February 15th at 5pm EST I’ll pick one lucky winner from all valid entries at random (using Random.org) to win the pair of tickets. Please don’t enter if you cannot attend! The contest ends the day before the show so there isn’t time for me to contact additional winners if you win but can’t go. Be sure to enter with a valid email address you check regularly so I can contact you if you do win. Don’t worry, I won’t add you to any email lists or anything like that, I hate spam too. If you enter more than once then all of your entries will be disqualified. If the contest is over when you read this or you simply can’t wait to find out if you win the contest you can buy tickets from Live Nation for $26 here. 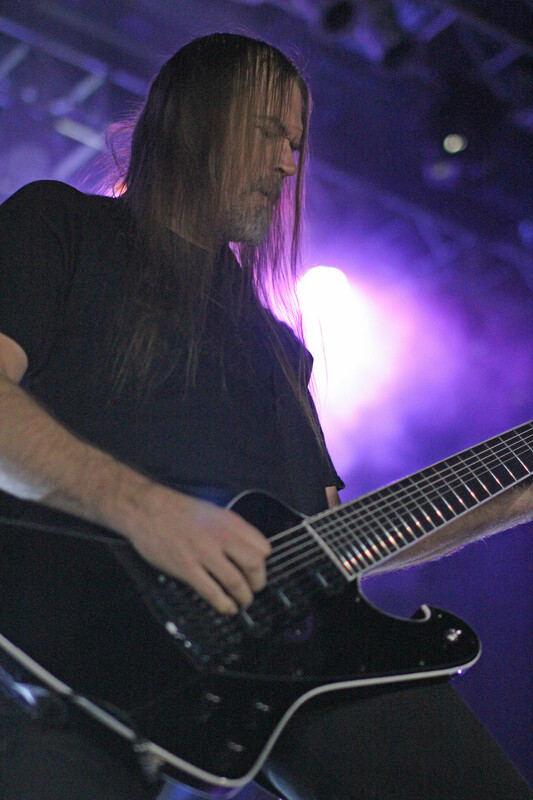 Meshuggah is on the second leg of their Ophidian Trek tour supporting their newest album, Koloss. As expected the album is a beast and they’ll be playing songs from it as well as older classics throughout their set. They have also just released Pitch Black, a free two track EP from Scion A/V that you can stream and/or download here. They’ll even have copies of Pitch Black on vinyl available at the merch booth at this show at the Fillmore! Also playing this show will be Animals As Leaders, an instrumental progressive metal band featuring former DC native Tosin Abasi on guitar. Let me tell you the guy can play! He is quite possibly the best guitarist in metal right now. The opening act will be the LA based trippy progressive metal band Intronaut. Don’t expect any slack instrumentation from them either. 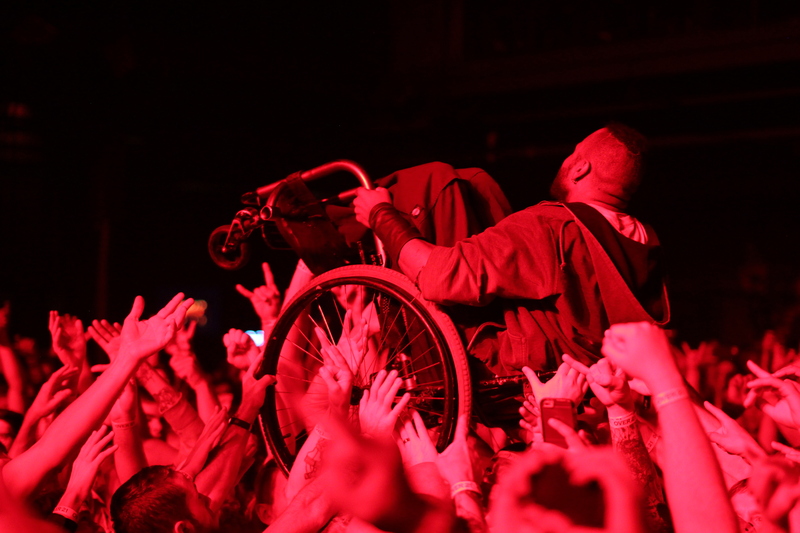 In all this should be another great metal show at the Fillmore. Check out the videos below by each band playing and tell me the reason you want to go to this awesome show in the comments! Meshuggah/Baroness and Opeth/Mastodon ticket give aways! The new Fillmore in Silver Spring, Maryland, hasn’t had a metal show since Anthrax and Testament played there in November, but they’ve just announced two killer metal concerts coming there in May. 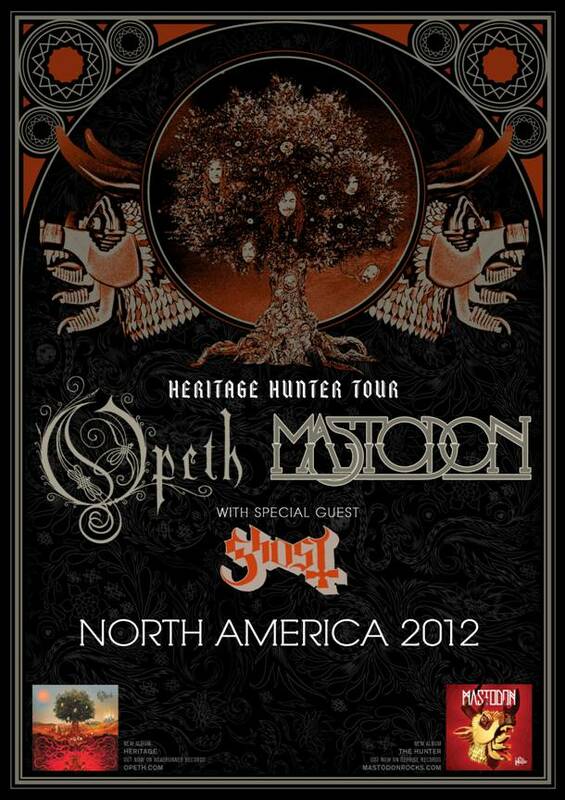 The Heritage Hunter tour with Opeth, Mastodon and Ghost on May 9th and the Ophidian Trek tour with Meshuggah, Baroness and Decapitated on May 22nd. 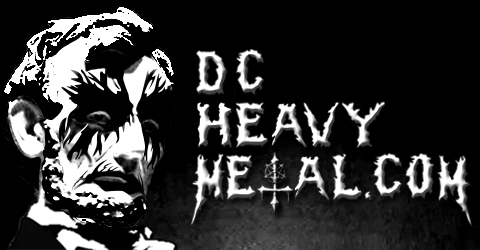 Here at DCHeavyMetal.com we couldn’t pick which concert to give tickets away to, so we’re giving a pair of tickets away to both shows! All you’ve got to do to enter is make a comment at the bottom of this post saying which of these killer metal shows you’d like to enter to win tickets to. You can enter to win both if you’d like, but each concert will have a different winner. The winners will be picked at 4pm EST on Friday the 10th of February. One winner will be chosen at random with Random.org for each concert and they’ll win a pair of tickets to the show of their choice! Be sure you use a real email address you check regularly when you enter so I can contact you when you win, though your email doesn’t have to be in the comment itself. And don’t worry, I won’t add you to any email lists or sell your info to anyone, I hate that crap too. Now, here’s a bit more info on these concerts. The Heritage Hunter tour has quite a line up! Opeth is Sweden’s premiere progressive metal band and while their last trip through the area saw them playing mostly softer material with a focus on their new album, Heritage, word has it this tour will feature a more “best of” style set list. I suppose we won’t know for sure until they’re actually playing it though. 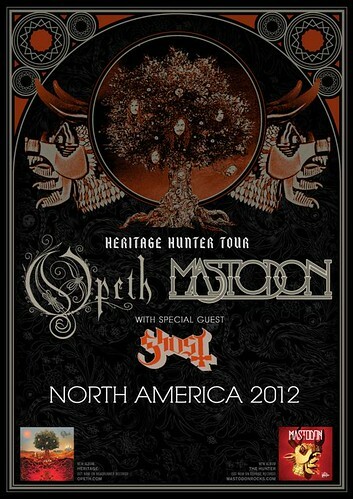 Opeth sold out their last area appearance on November 1st at Rams Head Live in Baltimore. Mastodon is probably the most famous band out of that big Georgia metal scene. Their latest album, The Hunter, looks to make them an even bigger name in the world of metal and you can bet they’ll be playing material from it as well. They also sold out their last area appearance which was at the 9:30 Club on November 27th. The opening act on this tour is Sweden’s mysterious Ghost. The members of the band all cover their faces and hide their identities and so the rumors have swirled around them about who might actually be in the band and what other bands those people are members of. Regardless, their debut album, Opus Eponymous, has won over critics and metal fans alike with their clean vocals and simple but catchy songs, all in the name of Satan of course. And you probably guessed it, but they also sold out their most recent area appearance when they headlined the Rock & Roll Hotel on January 19th. That’s right, this tour is made up of three bands who all sold out their most recent area appearances. If you missed any of them before now is your chance to see them live! If you want to be sure you get tickets before it sells out (which it seems likely to do considering the line up) you can buy tickets online now for $29.50 here. 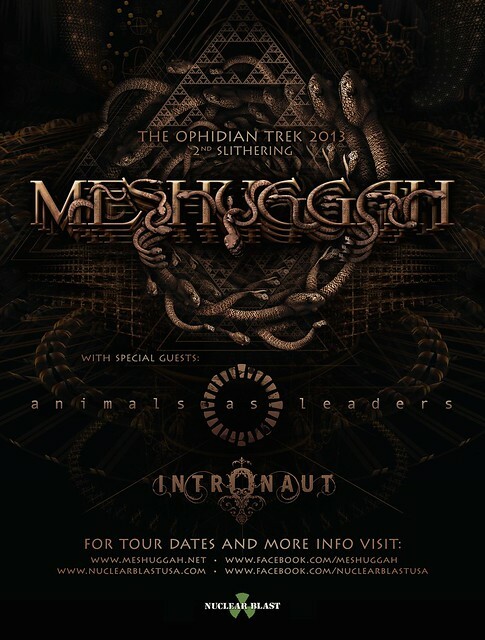 The other metal show coming to the Fillmore in May is the Ophidian Trek tour with Sweden’s popular tech metal band Meshuggah headlining in support of their new album Koloss. Everyone knows these guys can shred and this will be the area’s first chance to hear any of their new material played live. If that wasn’t good enough for you they’ve also brought along another one of the premiere bands from the Georgia metal scene, Baroness! Baroness should have a new album out this year, hopefully in time for this tour, but even if they don’t the material on their first two albums is fantastic live. I saw them play the Rock & Roll Hotel back in November of 2009 and while that show was excellent, it will be great to see them on a bigger stage. The opening act is Decapitated, a Polish technical death metal band that has reformed with a new line up after a tragic bus accident in 2007 left the drummer dead and the vocalist in a coma. 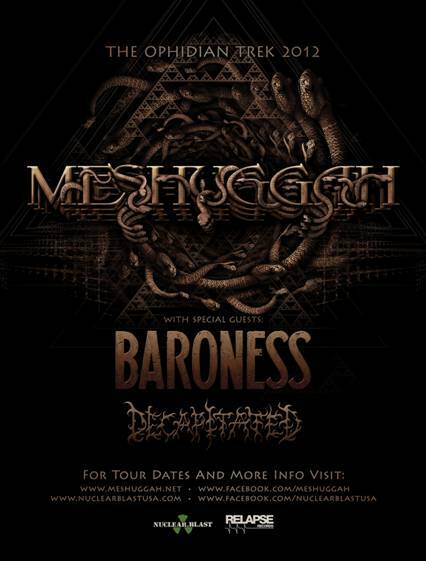 And you know what Meshuggah and Decapitated on the same bill means, you’re pretty much guaranteed to hear both Bleed and Spheres Of Madness played live at the same concert, hell yeah! If you want to get tickets to this show now and not have to worry about it selling out (you know, on the off chance you don’t win this contest) you can go ahead and buy your tickets online for $25 each by going here. Well, those are your two choices. Check out these classic videos by the headliners and enter to win below!